Home / Medical Cannabis Guide / Are Hemp Products Safe? Hemp contains cannabinoids. CBD oil is known to relieve inflammation and chronic pain without the complications of the high feeling. It is said that hemp use may have very well started the agricultural industry. It has been grown for industrial purposes for over 10,000 years, and used for medicinal purposes for more than 6000 years. Still, there are legislative issues and controversy surrounding the safety of hemp and hemp products. Hemp is one of the most versatile plants on earth – it’s used for clothing, textiles, food, medicine and more. None of these applications present significant safety concerns, which is why the many applications of hemp make this plant an obvious choice for various uses. • Industrial. Industrial hemp produces products such as clothing, textiles, cosmetics and paper products. Where cultivation is legal, it is subject to stringently regulated standards. From an ecological standpoint, hemp far outperforms similar products such as cotton. Hemp is a hardy plant that requires far fewer pesticides than cotton and flax. The material used for clothing, bedding, towels and other textiles is durable, breathable and comfortable – and also superior to other materials in resisting mold and mildew. Regarding paper products, hemp requires far fewer chemicals for pulping. • Food and nutrition. The part of the hemp plant that is consumed for food are the seeds and the oil extracted from the seeds. The seeds are high in protein and have significant quantities of Omega 3s and Omega 6s. The seeds also contain over 20 amino acids. They are considered to be virtually allergy free and very safe to consume in reasonable quantities. However, the oil extracted from the seed should be used with some caution. If used in large amounts such as for cooking, it may cause digestive problems or absorption concerns. • Ingested medical. Both the root and the seeds of the hemp plant are used for medicinal purposes. Oil from the root, in particular, is commonly added in teas. Evidence suggests that hemp root contains trace quantities of cannabinoids (particularly CBD) and other healing nutrients. In moderate quantities, hemp oil is considered very safe. However, if you are taking medication for blood clotting, you should avoid ingesting hemp products due to its anticoagulation properties. Of course, if you are on medication, it is best to check with a medical profession before adding anything to your healthcare regimen. • Topical medical. 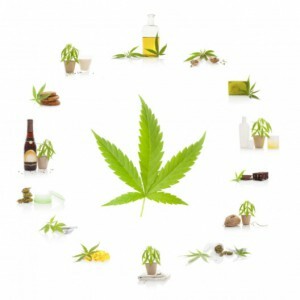 Topical hemp products come in the form of creams, serums and massage oils. While safe, consumers are cautioned to avoid putting the potent essential oil of hemp directly on the skin. Whether derived from the root or the seed, products containing hemp oil are often combined with other ingredients such as carrier oils or other beneficial ingredients. Topical hemp products are not only soothing and pleasant, they are also very medicinally useful. Research shows that CBDs and other properties work at the cellular level. The C2 receptors signal the DNA to produce a protein, which, in turn, depletes the production of the acid responsible for causing pain and inflammation. Both ingested hemp and topical hemp are used to treat a variety of inflammatory disorders such as arthritis, asthma, IBS, Muscular Sclerosis and various auto-immune diseases. In the U.S., 33 states have introduced pro-hemp legislation. Twenty-four of those states recognize cultivating hemp as separate from growing marijuana and have laws in place allowing various degrees of growing and cultivation. The U.S. as a nation, is behind the rest of the world in taking advantage of the medicinal and economic opportunities that hemp provides. At the federal level, the growing of hemp is illegal, but the purchase of hemp products is legal. Over 30 industrialized countries produce hemp products. In 2014, U.S. citizens spent over $620 million dollars on exported hemp products. When purchasing a hemp product, it is important to make sure it is produced by a company with the highest safety and ethical standards.